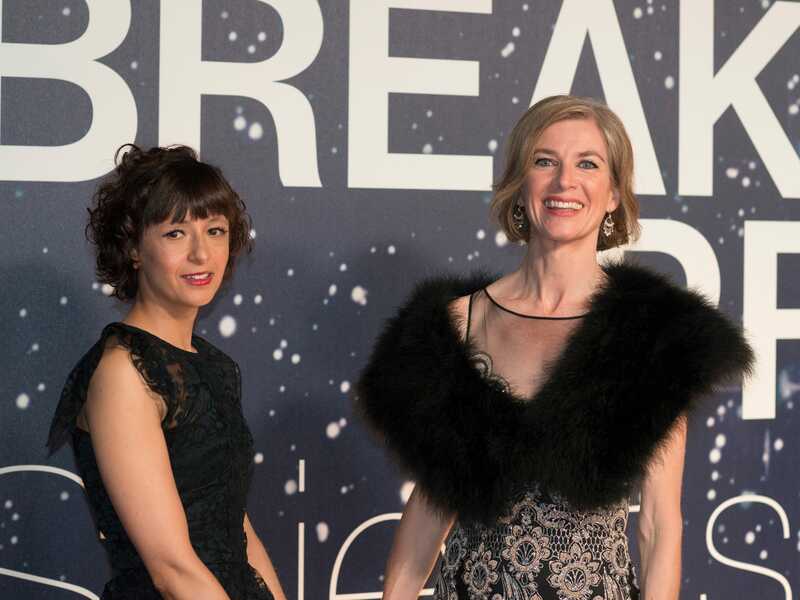 Peter Barreras/Invision/APBreakthrough Prize life science laureates Emmanuelle Charpentier and Jennifer A. Doudna arrive at the 2nd Annual Breakthrough Prize Award Ceremony at the NASA Ames Research Center on Sunday, November 9, 2014 in Mountain View, California. When Jennifer Doudna and Emmanuelle Charpentier discovered the most powerful DNA editing technology we know of, CRISPR-Cas9 — something MIT Technology Review described as “the biggest biotech discovery of the century” — they weren’t looking for a world-transforming DNA editing tool. Doudna tells Business Insider that they were studying the system that bacteria use to defend themselves against viruses, something that might be considered basic research, science pursued just for the sake of greater understanding. Their project was a curiosity-driven initiative to understand a biological mechanism, not an attempt to create or uncover something immediately useful. But then: “One day … we realised, gosh, this could be a very powerful technology,” says Doudna. They noticed that the system bacteria use to shut down viruses had an uncanny way of targeting specific sections of virus DNA — and that, with the correct programming, this system could seek out any section of DNA and slice it up. Not only that, if accompanied by other coding material, this process could also replace one section of DNA with a new section of DNA. They realised they’d found an incredibly precise tool. In the hands of genetic engineers, having an accurate way to edit genomes composed of millions of letters is incredibly exciting. This is a hugely exciting advance, one that could transform everything from human health to energy production. Genetically modified creatures and designer babies are just a few of the seemingly sci-fi ideas that now appear to be closer to reality, or at least a possibility (there are, of course, serious ethical issues to resolve first). This discovery — as an unplanned result of what Doudna and Charpentier were working on — could be called a scientific accident, and one of the most extraordinary ones in history. The two scientists realised the potential applications for the system they were studying and then conducted experiments to show how it worked, which required both flashes of insight and a great deal of expertise. Yet still, “it’s serendipitous work — there’s an element of luck involved,” says Doudna. For that reason, she says this discovery highlights the importance of funding basic research, as that is the sort of work that can advance knowledge that then — unexpectedly — can lead to a transformative practical discovery.